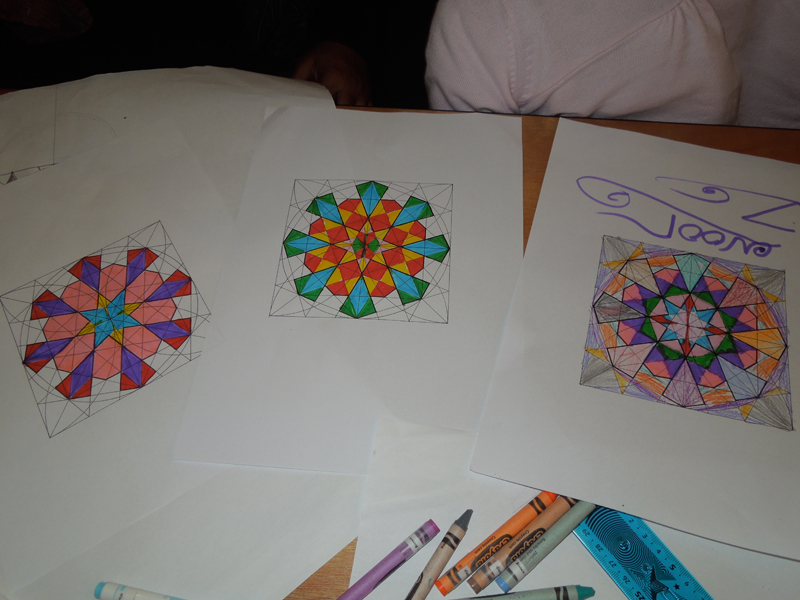 The objective of the full day event was to provide students with an introduction and understanding of Islamic geometric patterns, and the creative nature of its incredibly sophisticated and fascinating art form. 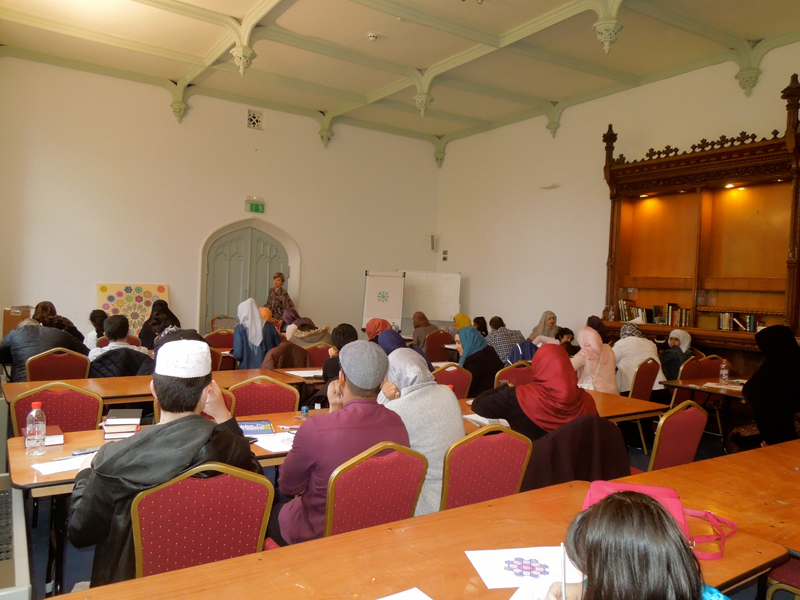 Eric Broug, Huseyin Sen, Mesut Balik and myself presented the event with a variety of workshops. 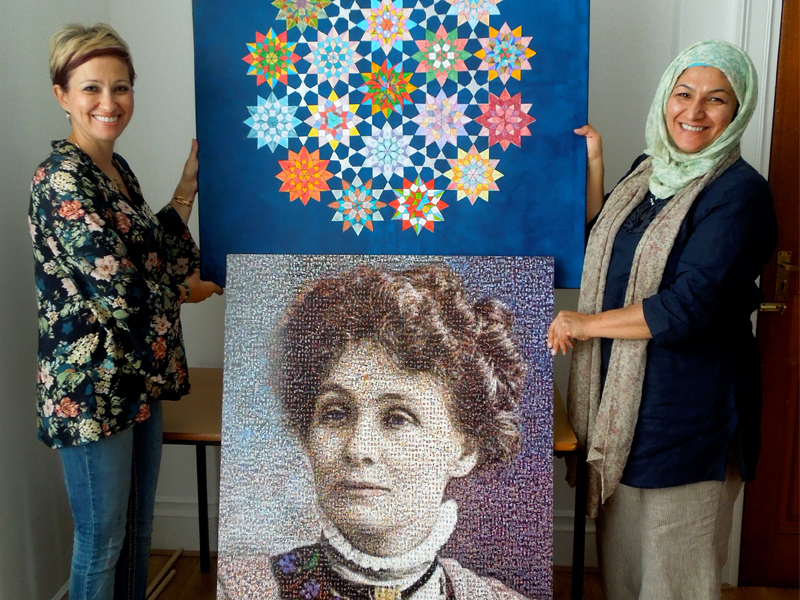 A festival of building stronger community relationships in a spirit of peace and unity through diversity and celebrating International Women’s Day. 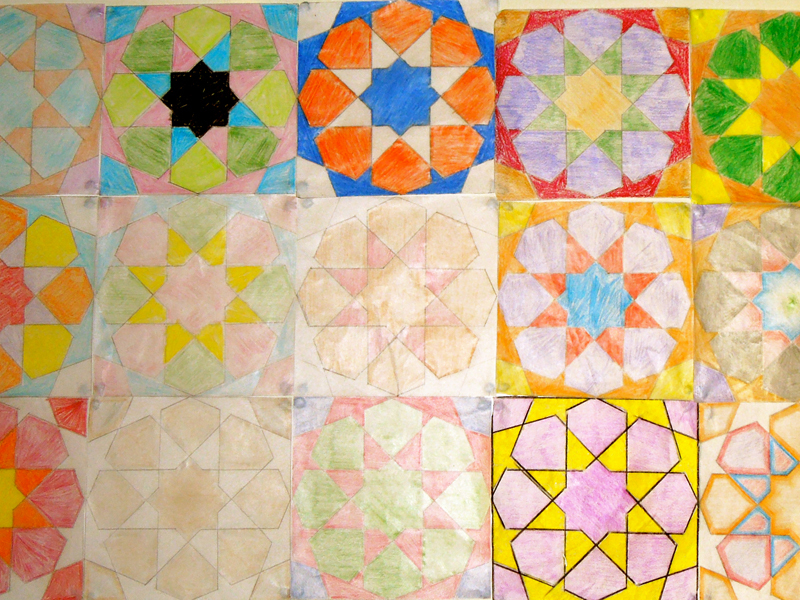 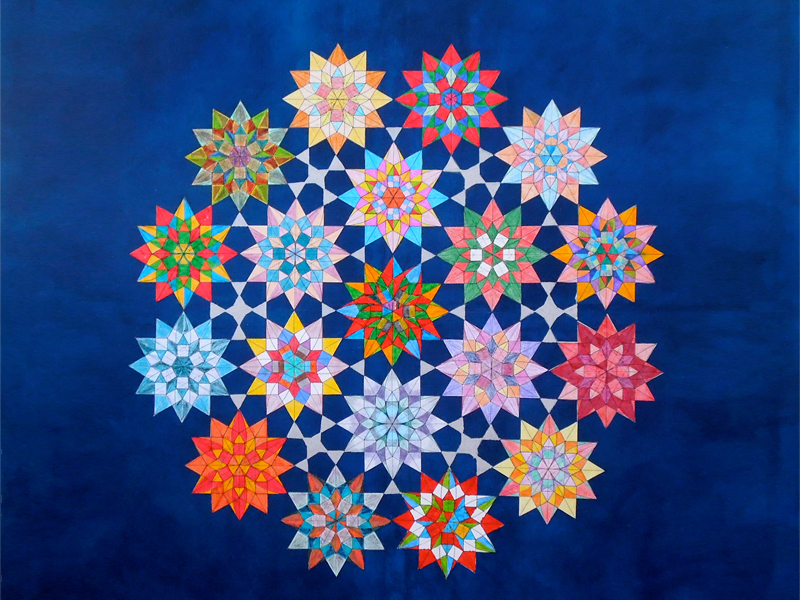 As part of the Walsall Connecting Schools Programme 2013-2014, I had the opportunity to teach a group of pupils aged between 7 and 12 how to draw the eight pointed star pattern from Islamic geometric patterns. 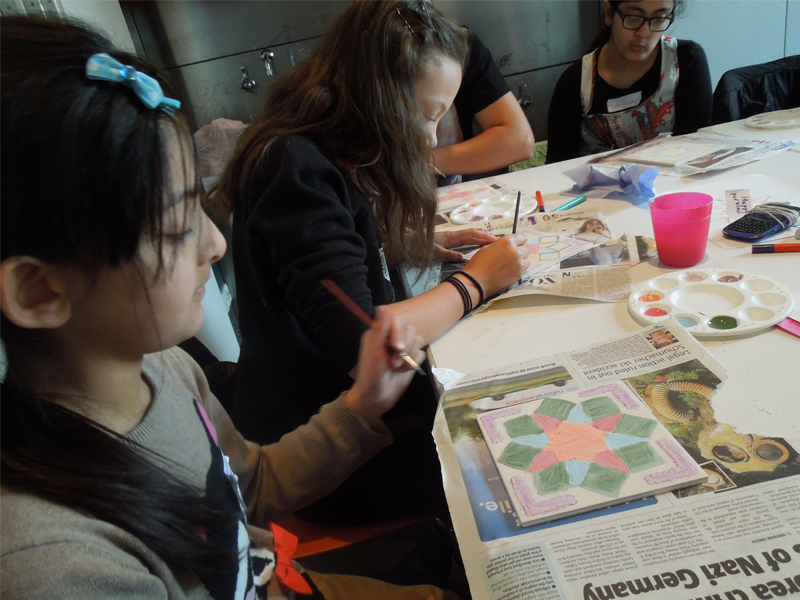 The pattern was then traced onto tiles and painted by the pupils choosing their own colour to express their own individual creativity. 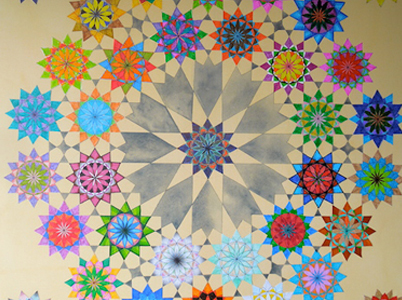 After the firing process the tiles were tessellated to form "The Breath of the Compassionate" pattern which is the most commonly used pattern in Islamic Art and Architecture. 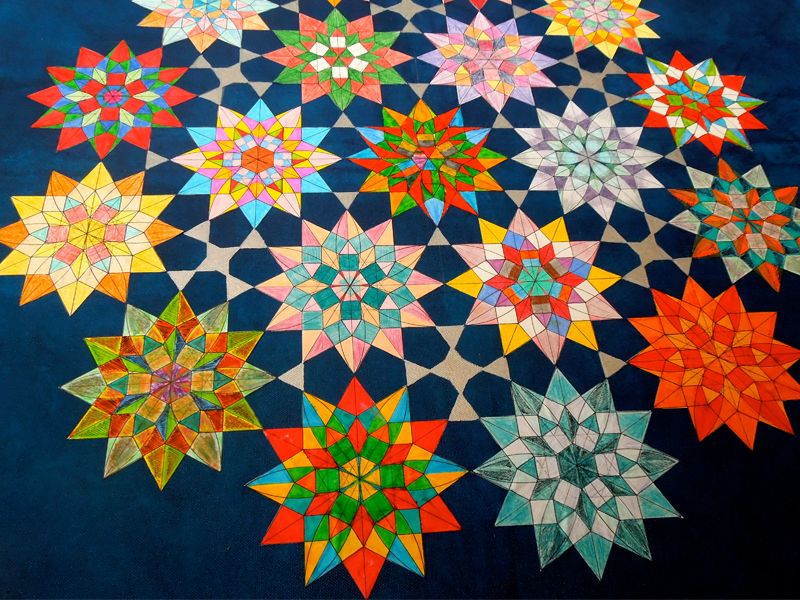 This design is also used in other cultures and religions too. 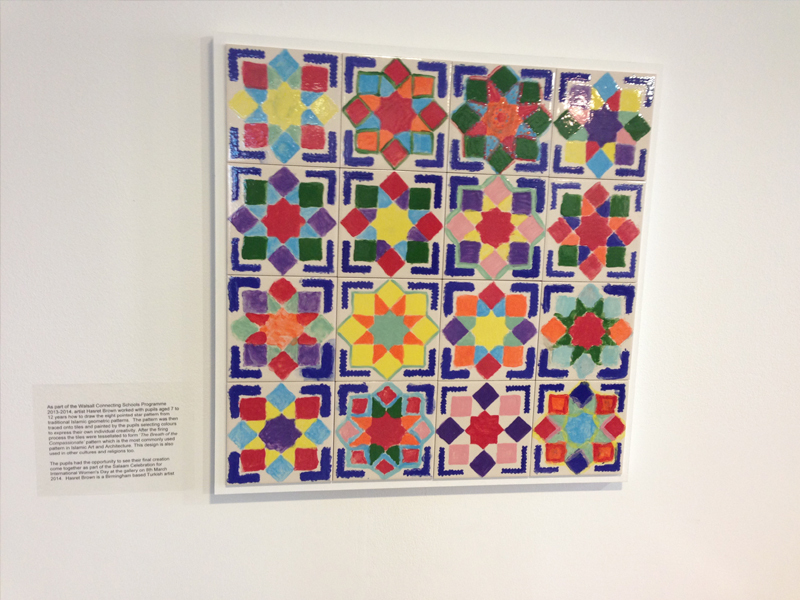 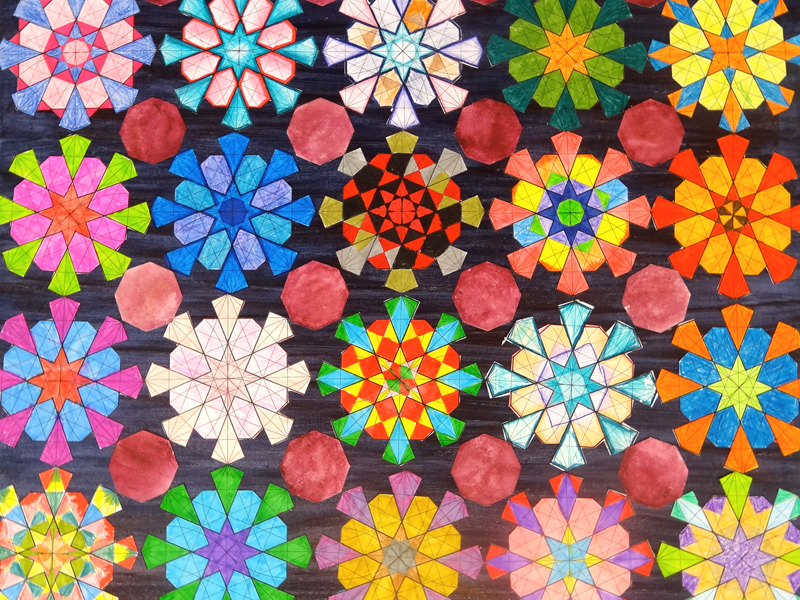 The pupils had the opportunity to see their final creation come together at the Salaam Festival at the gallery on 8th March 2014 and was also displayed at the gallery during April 2014. 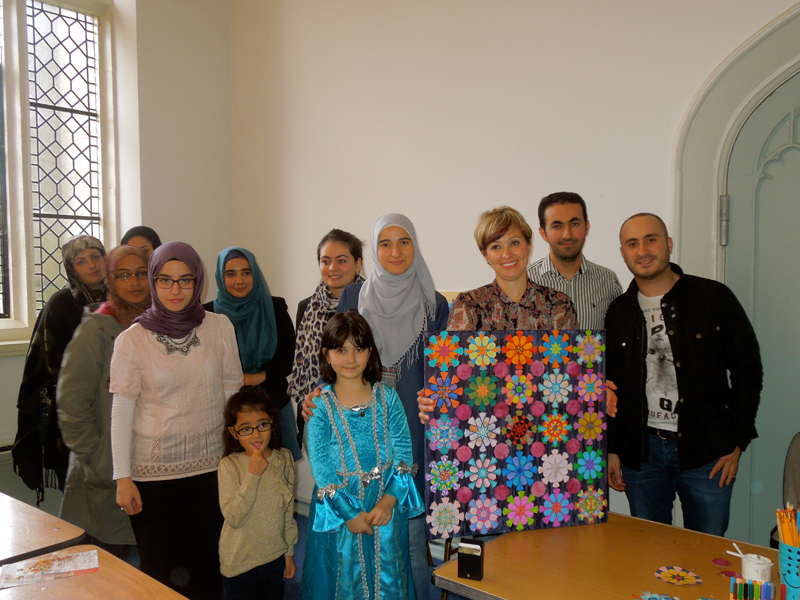 A week of celebrations, debates, discussions and activities around cultural, musical, poetical and artistic diversity.